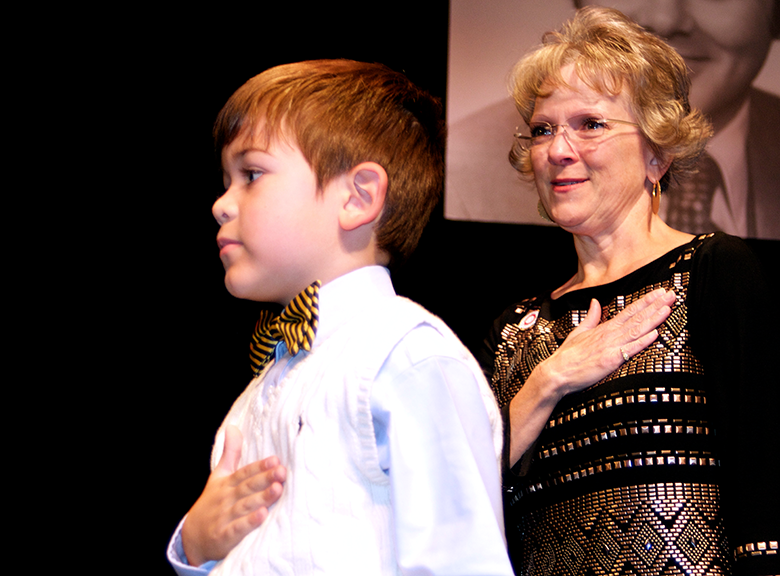 McKinley Elementary first grader Thanos Mairet, 6, led the pledge of allegiance during the Presidential Investiture Oct. 30. He is accompanied by OCCC First Lady Tammy Steward.In his opening remarks, Steward recognized the young man.“Thanos, I want to give a special thank you to you. I don’t think I’ve ever seen someone do the flag salute as good as you did,” he said.